Lover.ly, an inspiration engine and Pinterest-like startup for weddings, has raised $500,000 from Joanne Wilson, Michael Edwards, Michael Yavonditte, Charles Smith, Anu Duggal, Jordan Levy, and Rick Webb. Launched in the Fall of 2011, Lover.ly is a centralized place that helps brides discover and save wedding ideas. The site is designed to help brides, vendors, and wedding enthusiasts find inspiration (from wedding blogs), people to hire, and things to buy. Similar to Pinterest, the site allows users to curate board of ideas and make them public for users to view and draw inspiration. Currently, the site has an archive of over 130,000 images organized by editors and its community of users. Lover.ly offers both editor-curated inspiration boards (i.e. 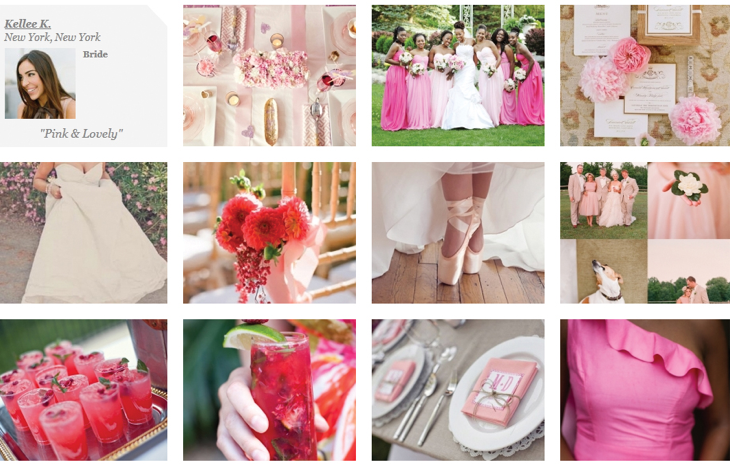 bridesmaid dresses for beach weddings, honeymoon ideas) as well as user-generated boards. Indexing all of these images is done via Loverl.y’s proprietary tagging system that adds anywhere from 4 to 20 tags per image identifying color, style, season, location, and objects in the images (i.e. photographer, planner, dress designer, floral, dessert, rentals, venue). Users can search for ideas by category and subcategory. The startup was founded by Kellee Khalil, who while helping plan her sister’s wedding was overwhelmed and frustrated that there were no tools search, save, organize, and share visual inspirations for the event. Thus, the idea for Lover.ly was born. As mentioned above, the site is similar in a lot of ways to Pinterest. But Khalil says that she believes Lover.ly can be distinctive because the site is the reverse of Pinterest. She explains that it can be difficult to sift through all the information and content on Pinterest and Lover.ly is a more niche, centralized place for all things wedding.